The new film Arctic which is the latest creation from writer/director Joe Penna with co-writer Ryan Morrison is 97 minute thrilling survival film. 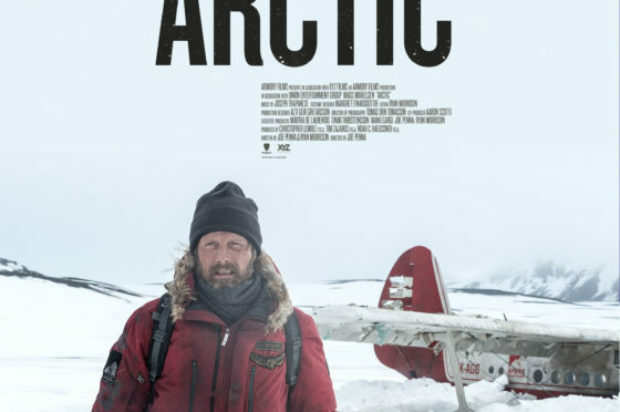 Arctic is a captivating yet quiet a film primarily based around the survival of Overgård (played by Mads Mikkelsen) as he tries to escape the freezing landscape of Iceland after a plane crash. This film brilliantly demonstrates Mads Mikkelsen’s range as an actor as within this film he is given a lot to do and portray as his character is fighting for survival. This film also stars María Thelma Smáradóttir as a character credited as “young woman”. Although getting little dialog and screen time compared to her co-star, Maria’s performance makes you care about this character and gives you insight into who this woman was before finding herself in Iceland with Overgård. Arctic was directed by Joe Penna who gained notoriety with his incredible visual effects as ‘MysteryGuitarMan’ on YouTube. Penna now takes his visual expression and puts it in to this fascinating film. Despite the change in genre and the more subdued nature of the film compared to his previous work, Penna retains his amazing eye for stunning visuals and captivating narrative. This film is a must see. It is engaging, thrilling and will have you rooting for the survival of these tremendous characters until the closing credits. Arctic first premiered at the 2018 Cannes Film Festival and is set for release on February 1st 2019.